As part of our comprehensive support for small and medium sized businesses, Whitehill offers a full mailbox service. You can opt for us to hold mail for collection, open it and scan and email it to you, or forward on to you by post. And if you'd like to use your mailbox address as a registered address for Companies House and HMRC, we also offer a Company Secretariat service which will ensure company documents are securely stored and Confirmation Statements are reviewed and filed to Companies House in good time. We find many different reasons why people want a mailbox service. For some, it's to protect their privacy; for others, they need to know parcels will be signed for, whilst others simply want to project a professional image into the marketplace. Whatever the reason, Whitehill has affordable mailbox options to fit the need. For businesses, a professional address enables you to create a professional image without the cost. All mail can be sent to your company name at our professional address and will be dealt with according to your preferences. You can also opt to use this address as your Registered Company Address with Companies House - giving you the professional advantage of being registered in the well-known and historic town of Royal Wootton Bassett. As you'd expect, our staff are normally on hand to sign for deliveries during normal office hours, so you don't need to worry about being in to sign for parcels and registered post. Many consider using a P.O. box instead of a professional address. We'd advise against this; it will make it difficult to locate your business using Google Local, and of course you can't get parcels and signed-for post delivered to a PO box. HMRC and Companies House won't accept a PO box as a registered address, and many customers are wary if they see a PO. And if you're comparing us with a Swindon P.O. box, the chances are we're cheaper as well. For individuals, a mailbox allows you to receive mail whilst you're travelling or abroad for a period of time. Using the scan and email option (see below) you'll get mail in your inbox, wherever you are. What are the options for dealing with my post? Our fully trained staff will receive all mail, packages and parcels. We will deal with incoming mail according to your preference. Hold for collection during office hours. We'll email you when post arrives and you can call in and pick post up whenever it suits you. Forward post on to your address. You can choose to have your mail forwarded when needed; daily, weekly or quarterly - we're happy to meet your requirements. Open, scan and email post to your email address. 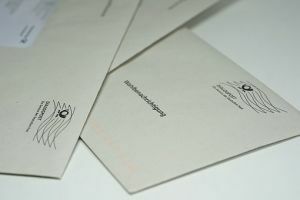 If you are expecting an important urgent item of mail, or if you just want to see your mail straight away, we can (with your permission) open and scan your mail and ensure you receive it via email. Hold for collection during office hours. We'll sign for your parcel and email you when it arrives. You can call in and pick it up whenever it suits you - but please call or email to check the office is staffed before you set off. Send on to an address you nominate. If you don't want to call in, or can't get to us easily, we can send on larger items when we receive them. Private limited companies must keep some or all of their statutory records at their registered office, unless they are stored at a Single Alternative Inspection Location (SAIL) address instead, or form part of the public register at Companies House. If you wish us to store your Company documents and have these available for inspection purposes, you'll need our Company Secretariat service. For a small additional monthly cost we'll receive, scan and store all your company's documents electronically. The cost includes the cost of scanning, storing and secure offsite backup of all documents you provide to us. However, if you do not wish us to keep some or all of these records, but still wish to use our mailbox as your registered address, there is no additional charge. In this case you will need to register a Single Alternative Inspection Location (SAIL) with Companies House where your company keeps its statutory records and makes them available for public inspection..
All private limited companies and limited liability partnerships (LLPs) registered in the United Kingdom must deliver a confirmation statement (used to be called an Annual Return) to Companies House at least once every 12 months, even if the business is dormant. The confirmation statement is needed to verify that important company data registered at Companies House and displayed on the public register is accurate and up to date. If any information held on record is inaccurate or out of date when the confirmation statement is due, the company should update the information on the relevant separate form beforehand, or at the same time as delivering the confirmation statement. Whitehill will manage the whole process on your behalf, from start to finish. We'll monitor when the statement is due, and send through an electronic copy of the existing information held on the registers at Companies House in good time for you to check this and send through any alterations. We'll file the necessary alterations, complete and submit the Confirmation Statement on your behalf, ensuring it's done in good time to avoid penalties for late filing. Our fee for this includes the fee charged by Companies House each year.